The studio you see in these photos is no more. I've moved from Aberdeen to Glasgow. In September I'll be starting a Master's of Fine Art Practice at the Glasgow School of Art. 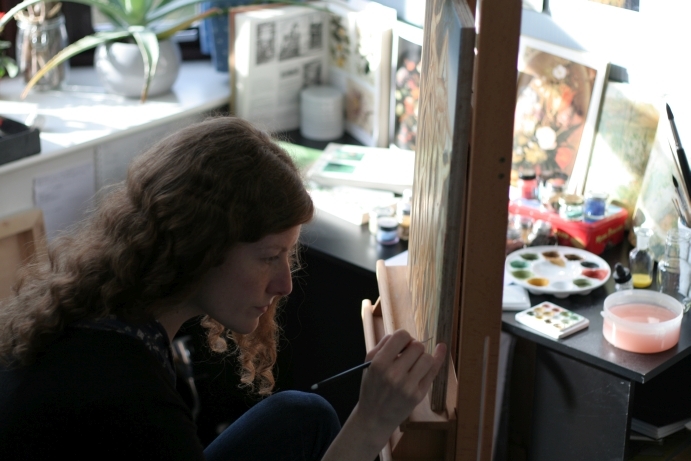 But before I moved, we snapped some photos of me in the studio for a small feature which is currently up on the website of The Society of Scottish Artists. It's nice that it happened at that time, since now I'll have some photos to remember that little room where I spent so many hours. Also, I should mention that you can find me on instagram now. Do say hello if you are on there too! Now that things are looking a little more settled, hopefully I'll be back with more posts soon. Wishing you lots of joy on these wintry summer days. Congratulations on the lovely feature with great photos. Good luck on your move and your upcoming master's program, all very exciting for you! thanks for sharing your post and the link about you. Great to learn you a bit . Always inspiring to come back to your blog. I checked also you site, many things I knew from your blog. Thanks very much for the good luck wishes marja-leena and artisjoken. It's always wonderful to get a message from Artichokistan or the far West! Wishing you both lovely late summer days and lots of time for photos and drawings. Jodie - dont do what I did and lost track here on your blog........you'll find it harder and harder to pick up the thread again. Believe me keeping a blog as an artist is invaluable. How are you getting on with your Masters course ? I imagine you are doing very well with it.......but as you hav'nt written here ....well ? Thanks so much for your message. And of course you are completely right! I definitely intend to be better about sharing what I'm up to. Thanks for the push in the right direction! Glad to see you are picking up your blog again too. I'm away for a few days, but once I return I will try and do the same! Let me know if you're ever in Glasgow and want to meet up for a coffee and some printmaking chat! Heisann.... do you still live in Glasgow? You might remember that my son studied for his master in World Heritage at Caledonian some years ago? I want to make more spirit to Blogger's Sunday Walk. The last few times I've walked "alone" - therefor I invite all bloggers to join BSW 2017, and hope that many accept the challenge and document what happens four Sundays a year. 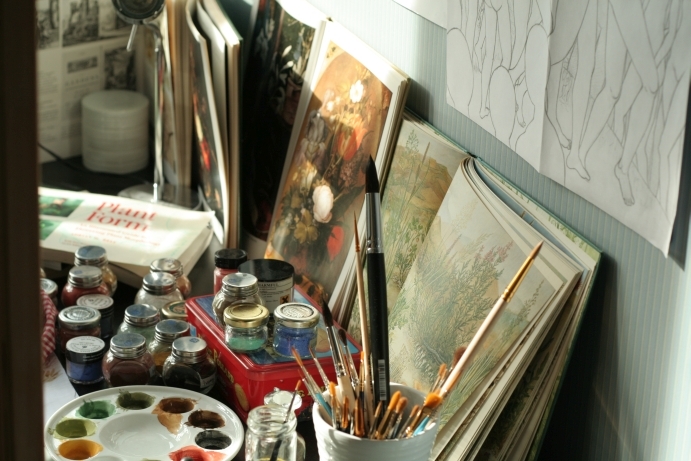 How beautiful a small Atelier. Good luck for new studies! I'll be watching your art in instagram. Painter and printmaker born in Canada and currently living in Scotland via France and Japan. Copyright Jodi Le Bigre. All rights reserved. Simple theme. Powered by Blogger.